Are you keeping your kids safe in the car? The week of September 23 to 29, 2018, is Child Passenger Safety Week in the US and Canada. This campaign promotes child safety in cars, and is a good reminder of the importance of ensuring your child is properly secured whenever you head out on a drive. Car crashes are a leading cause of death for children in America – on average, 2 children under the age of 13 were killed every day in 2016 while riding in car, SUVs, pickup trucks or vans. 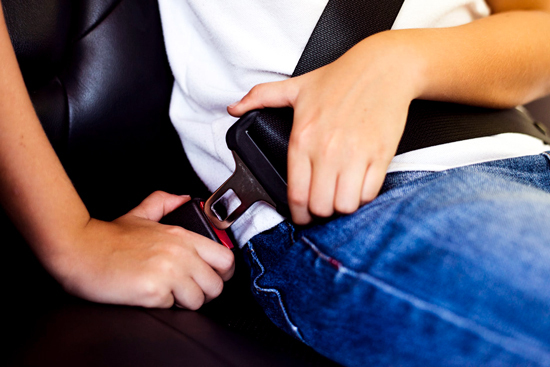 Often, deaths and injuries of children resulting from the operation of a vehicle can be prevented by the proper use and installation of car seats, boosters and seat belts. Your child’s age, weight and height are all factors to consider when deciding which seat, and which style of seat to purchase. Every car seat will accommodate different ages and sizes, so it is important to know this information before purchasing. Consumer Reports offers a car seat buying guide, with ratings and reviews of different seats to help you choose the best one for your little one. The Government of Canada also offers some helpful online resources for buying car seats. The government provides a useful checklist to assist parents in selecting an appropriate car seat for their child’s age and size. As well, stay informed of any recalls on your child’s car seat, using their safety recall page here. A study by the National Highway Traffic Safety Administration found that up to 59 percent of car seats were incorrectly installed or improperly used. Always review the instructions accompanying your car seat, along with your own vehicle’s directions carefully before installing. Proper tethering of car seats is an important part of installation. It is important to use the tether to anchor a forward-facing car seat to your vehicle. This is required for all forward-facing seats in Canada. The Traffic Safety Marketing division in the US offers some helpful diagrams for using tethers. Car seat clinics to help with proper installation happen across Canada, and are organized by a variety of community groups. Your local fire or police department may have more information about upcoming clinics in your area. As with installation, refer to the instruction manual for your specific model of car seat to understand the features of your car seat’s harness and buckles. Set up harness straps in front-facing and rear-facing car seats in the correct positions to keep your young child comfortable and secure. Well-fitted straps are crucial when buckling in infants or babies into their car seats, to prevent them from slumping sideways and falling over. The Traffic Safety Marketing division in the US offers helpful diagrams for using a car seat harness. Regardless of their age, always double check that your children are safe and secure in their car seats before driving your vehicle. During the winter time, it may be second nature to bundle your child up in a bulky winter coat before heading out in the car. However, these large jackets can impact your child’s security in their car seat. For more information on this, and a safer way to keep kids warm in the car, click here. As we’ve mentioned above, car seats come in different styles for different ages and sizes. Don’t transition your child out of one style of seat, and into the next, until they are ready. Regulation 613, Seat Belt Assemblies, as part of the Highway Traffic Act, governs the law in Ontario surrounding car seat use. This law requires that children use a rear-facing car seat until they have reached a minimum of 9 kilograms, or 20 pounds. Frequently, more experts are suggesting keeping younger children in rear-facing car seats for longer periods of time. In the event of a frontal impact crash, a rear-facing seat may keep a child’s head, neck, back, their spinal column and their central nervous system supported. As well, children must use a front-facing car seat until they have reached a minimum of 18 kilograms, or 40 pounds. With regard to booster seats, this law also requires that children in Ontario use a booster seat until they are 145 cm tall (4’9”), or 80 pounds, or 8 years old. Seats can become loose over time, and can shift around with repeated use. Check your child’s car seat often to ensure it is still secured and safe. As well, be aware of expiry dates, and lifetimes for your car seats – a seat that is too old may not be as effective in keeping your child safe. The Child Passenger Safety Association of Canada offers a number of resources on their website, including a handy expiry date chart for various car seat manufacturers. For more information about car seat safety, including information about installation and the different types of seats, check out our blog here. If you or a loved one has been injured in a motor vehicle accident, contact the critical injury lawyers at McLeish Orlando for a free consultation.